The new Scarpa Terra GTX is a significant update to this best selling model. 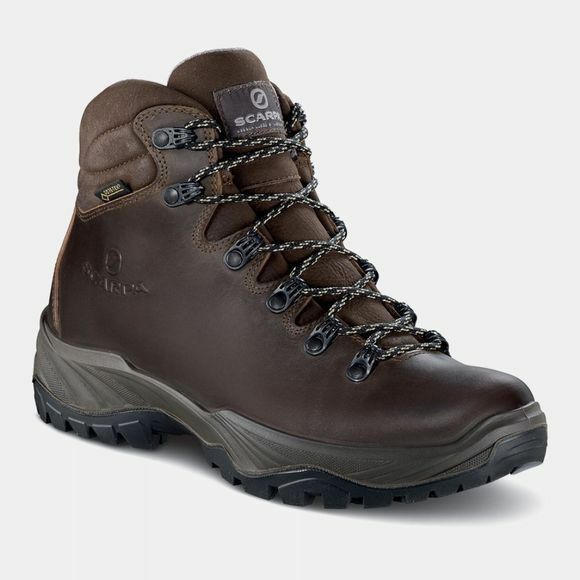 Perfect for UK hillwalking conditions, the soft leather upper is incredibly comfortable straight out of the box, and the revised stitching pattern make it even more dependable. A Gore-tex waterproof membrane ensures your feet stay comfortable in any weather conditions. The new Vibram Energy II is now even more durable, and the PU cushioning layer now offers more stability and support for all day comfort. The overall fit of the boot has been improved, with slightly more space around the toes, perfect for use every day.